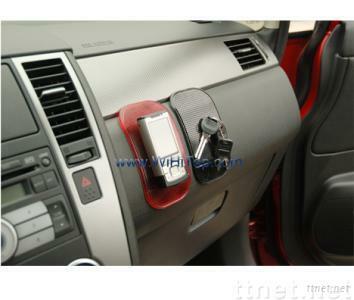 Non-slip pad is designed for all kinds of cars dashboard, councils and boats dashboard. Non-slip pad keeps small items such as cell phones, sun-glasses, coins, pens, cards, keys, even MP3, MP4, GPS and bottle water or drinks tightly. It keeps them safe from falling off even in the widest driving. Non-slip pad is also excellent as your promotional item by printing your logo or company name on the pad. We supply different shapes for your free choice, your own designs are highly welcome. Talk with us online for more details right now. or send us inquiry for pricing today.